Jono Broad – Patient Leader at the South West Academic Health Science Network and Q Community Member – talks about the success of the first Quality Improvement Partner Panels training day in this short blog. “Over 40 members of the public came together for our first ever Quality Improvement Partner Panels (QuIPPs) training day, which will help them get more involved as partners in improving health and care services. On 2 November, the South West Academic Health Science Network’s (SW AHSN) Q Exchange project ‘Patients are equal partners in quality improvement’ (also known as QuIPPs) kicked off with its first training day, teaching quality improvement (QI) methodology to over 40 members of the public. The four-day training programme – based on the SW AHSN’s Patient Safety Launch Pad Programme – will take place over the winter and is bringing people from a variety of backgrounds together to help improve health and social care by upskilling and engaging patients, carers and the public more effectively in QI projects. 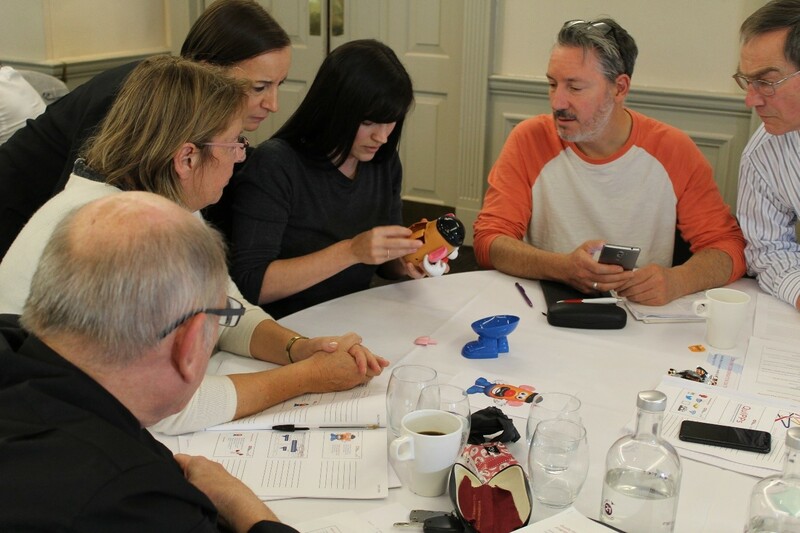 We all met at the Mercure Southgate Hotel in Exeter; some delegates have worked or are currently working in health and social care but want to do more as a volunteer, whilst others had not engaged with the system before. We also had three delegates with engineering backgrounds who have used QI in their careers, therefore are able to provide a different view on the methodology we are teaching. We are lucky to have such a range of participants who can all bring so many different experiences and approaches to the programme. The training was supported by the SW AHSN staff and its South West QI Faculty, which included speakers from across the health and social care system such as Peter Hillman – patient representative and Joanne Watson – Medical Director at Torbay and South Devon NHS Foundation Trust. The faculty were excited to launch the training programme and were humbled by the ideas and views of how delegates want to use the new learning and skills in practice, in the panels and in their daily routines. As people got to know each other, they openly shared their hopes for public engagement in health and social care which left the room buzzing with positivity. It felt as though this could be a strong step forward for the system, and an opportunity for our delegates to make a real difference that would benefit those who receive care and those that provide care. The day went on to teach the principles of QI and the wonderful Mr Potato Head made an appearance to help demonstrate how rapid, small tests of change can lead to significant improvements for a service. By the end of the day, participants had ideas of how they could help the NHS improve and we received a lot of positive feedback about the training programme. It is incredible to see the idea coming to life, and patients and the public becoming equal partners in quality improvement. The SW AHSN and South West Faculty would like to thank everyone who has supported this project, particularly the Health Foundation and Q Exchange whose funding will allow us to develop, evaluate and spread the programme throughout England to improve public engagement in QI everywhere. ‘Patients are equal partners in quality improvement’ is part of the Health Foundation’s Q Exchange programme. The Health Foundation is an independent charity committed to bringing about better health and health care for people in the UK. The Q Exchange funding will help to deliver, evaluate and spread the SW AHSN’s Quality Improvement Partner Panels project.